Cathay Pacific’s iconic monthly inflight magazine gets a stunning new look that puts it miles above its rivals. Brilliantly curated content brings you the best of global travel and lifestyle from the heart of contemporary Asia. 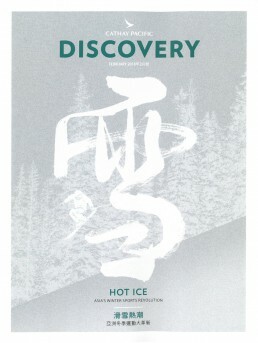 Discovery magazine vividly evokes Cathay Pacific’s bold and innovative style, and provides a powerful medium for reaching the airline’s 20 million-plus passengers each year and some of the world’s most frequent and affluent flyers. Very excited that our very own The Budapest Cafe get’s its own feature on page 12 of Discoveries in the February issue.